The joy of discovering new new hairstyles can just cheers you up. To help you out we have found just the perfect hairdo. These hairstyles can take you instantly to cloud. Each hairstyle will perfectly suit according to special occasions hence reducing the multitude of factors that may make you tired. For long, short or medium hair. Pick the hairdo that can accentuate your features and complement your style. Best summer hairstyle rated perfect for casual and semi-formal events . Suits perfectly for college going girls and working women since it has an easy tying technique. 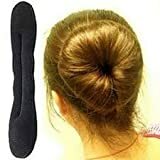 All you need is a donut band, if you don’t have it DIY by using an old cut sock or large band around your ponytail. Just wrap your hair around it making a hole in the centre. You are perfect to go out and flaunt this classy hairstyle. The old classy ponytail can never go out of fashion. The classic charm can further get extenuated by introduce some stylish variation to it. One easy way is to cover the base with sleek sections of hairs as shown in the image above. For doing it , keep some sections of the hairs from the sides while making the ponytail. Placing the base at the middle of the back of your head. Secure it with a hair band, wrap the left out sections around the band. Perfect for college going girls with long or medium hair length. For this hairstyle start braiding from the base of the neck and continue the braiding in a straight line till the top of the head. Then tie a high pony tail and wrap it to form a bun on your crown area. 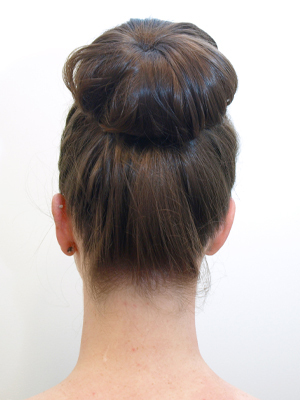 Secure it with pins and loosen up the bun to give it a semi messy look. 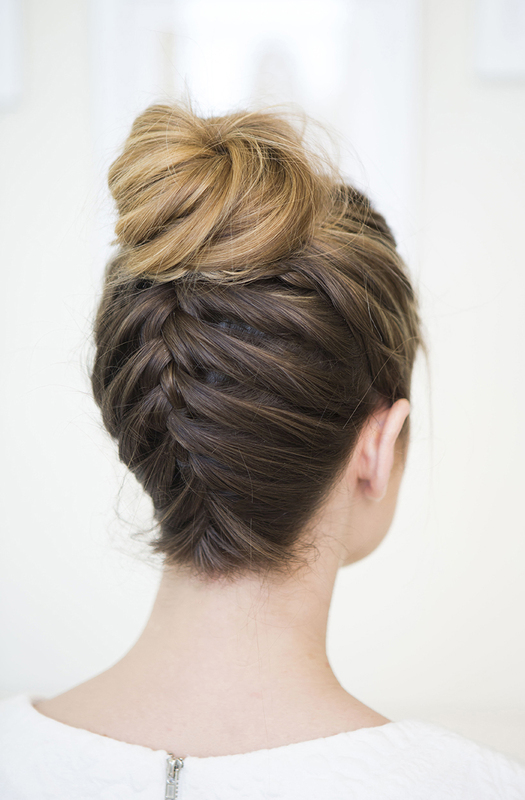 Perfect for college and small events, it’s one of the zero minute hairstyle. All you need to do is to roll up a small section of hairs from the side, above one ear and pin it back. Comb down the rest length of the hair. You can easily get this hairstyle when you are in a hurry. 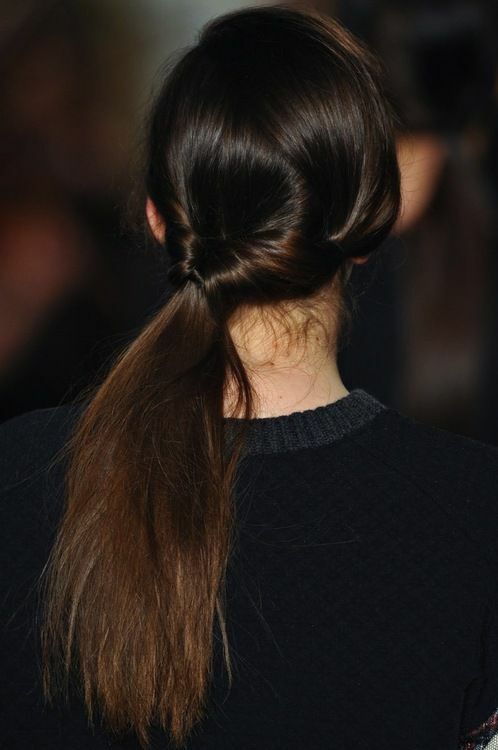 Side topsy ponytails are stylish and easy to do. They are just ideal for the chic look specially for college and school going girls. Perfect to do it on long or medium length hairs. Make a low ponytail, at the bottom of your left ear.Create a hole in between the secured hair and twist the whole hair into the hole. If you have highlights on your hairs, it will make the hairstyle look more vibrant. Subtle yet a lively traditional hairstyle. If so, have a look at this trendy hairstyle that’s inspired by the traditional braid. For this divide your hair into three sections. 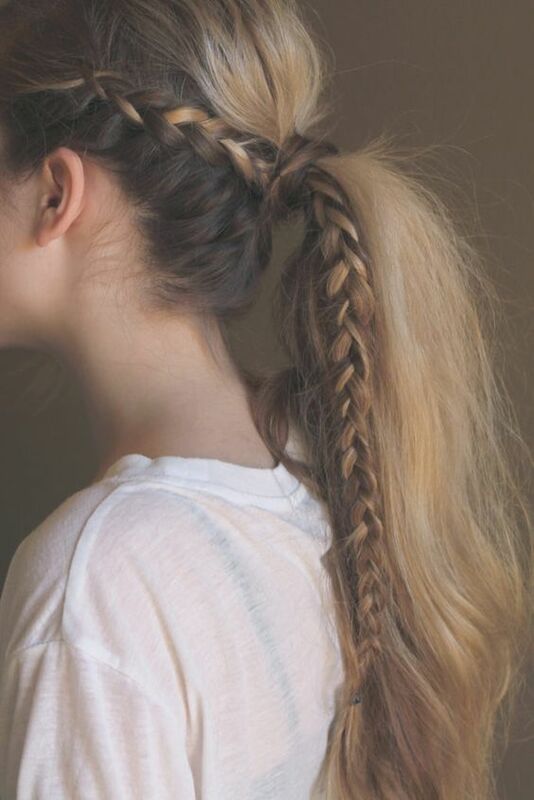 Make a braid of one section and then combine all the three sections to make the regular braid. Secure it with a band and its done. I’m sure you will love it. To get this hairstyle first comb your hairs loosing up some hair strands from the front section. Collect the rest at the back as shown. Now twist the hair bunch and flip it through the base. Use bobby pins if needed. 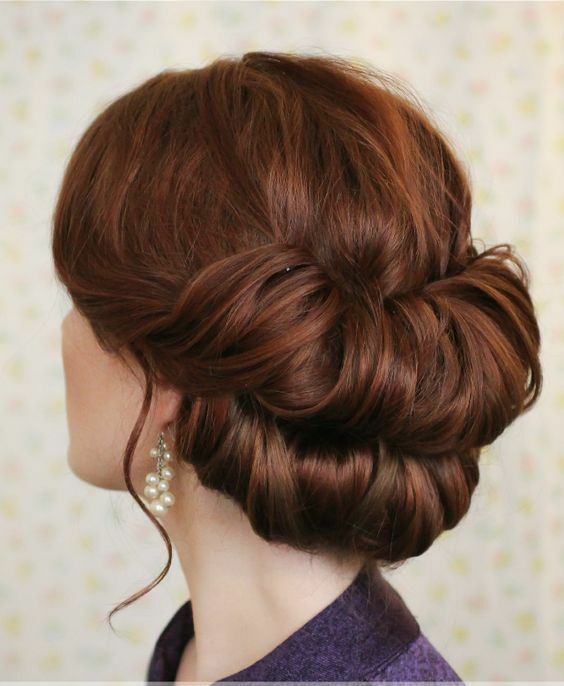 Repeat the same process for the hairs below the first rolled up bun to complete the hairstyle. Another variation of ponytail. Here a long braid has been made from the side of the crown that continues till the end. The rest hair is used to make a low ponytail. The whole hair is then secured using a rubber band. Over the band a small section of hair is wrapped around and its done. Subscribe to FashionPro for more such amazing hairstyles.